What do you want your job to be? So before you get “further” in your career, it’s worth considering — what do you want your job to be? What do you want to do more and less of? If you “take that next step” in your work, will you still be doing the parts of the work that you love? 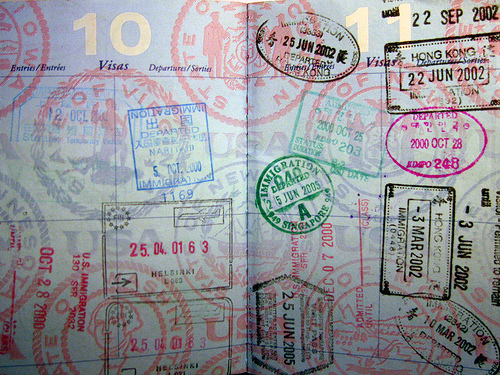 I travel a lot, and many countries have a space on their customs form for job. I’m never quite sure what to put there. It’s a little space, and I want to write something that’s not too confusing… EQ advocate? Leader? Teacher? Author? Consultant? Trainer? Executive? Apparently I have some conflict and confusion about the changes in my own role! While I WANTED our organization to grow, and pushed that, while I WANTED to do more leading and less doing, while I WANTED to build a team — I still sometimes regret how complex my job has become, and feel inadequate because I don’t really know how to do it. Like so many of our clients, I’ve “evolved” into this role rather than being chosen for it, and a large part of what I love(d) about my own work is the “professional” hands on work, rather than the managing. This reminds me about the work of Joy Palmer, one of our Network Members who primarily works with finance executives on this change. She’s written about the process in The Rise of the Player Manager. For myself, I’m someone who thrives on challenge and learning-by-doing… so it’s a great place to be… and I recognize that I only do my best when I pay close attention — I’ve chosen to be a leader. Maybe that’s going on the next customs form!